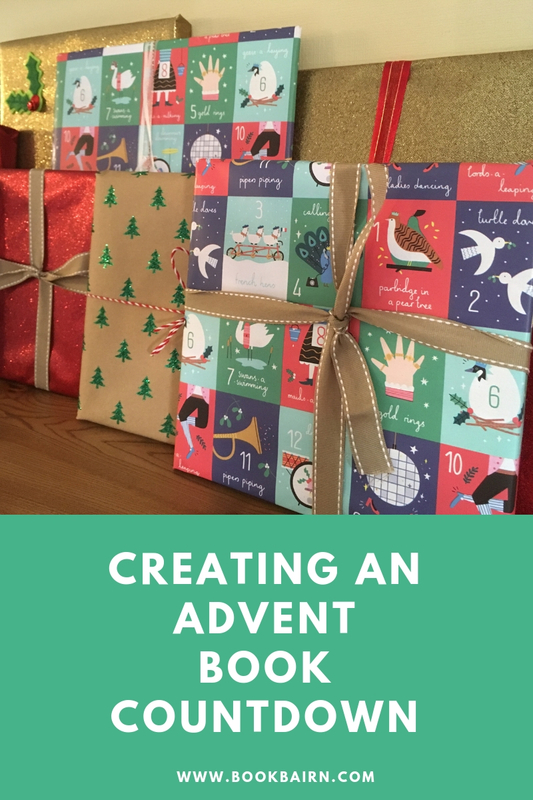 Since BookBairn's first Christmas I have been doing a book advent calendar with her so that every day in December we have a 'new' book to share and enjoy curled up together. 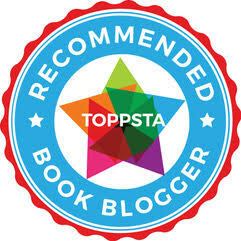 (You can find links to all our previous ones at the end of this post.) 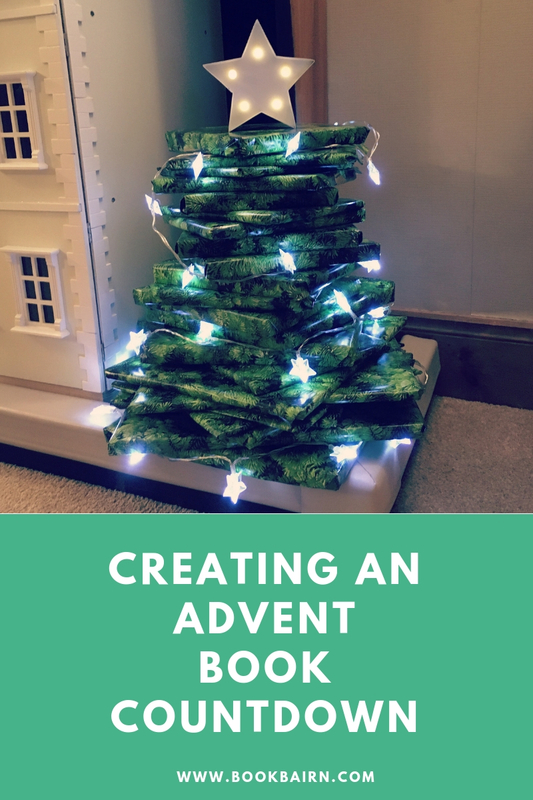 Last year I feel like I really out-did myself with my beautiful Advent Book Tree so this year I decided to do something different and rather than create a tree, as I had done in previous years, I have gone for a lovely book collection on top of our mantlepiece. * And I can't wait to get started! Roll on December. Last year's Advent Book Tree. *I have taken it down for the moment and will put it back up at the end of November as I didn't want the bairns to get all excited too soon! I'm sure some of you are keen to see what's inside the presents but, like the bairns, you will have to wait (as I didn't stop and take any photos beforehand! - bad blogger moment!) and I will share over on our Instagram. I thought I would share some tips with you that I have learned over the last four years in creating these book countdowns. Different things work for different families so these are just things that work for us. I know it is only November but I find it easier to keep all our festive books in a box in the attic and then dig them out early and spread them all out and see what we have. This is our fourth year of having a book countdown so I now have 24 books without much difficulty (more on collecting books below). If you want to wrap them then you will also need plenty of time to do that. If you can't collect 24 books. Don't. Start with 12 and do a 12 days of Christmas countdown. Your little one won't know any different and the magic of a 'new' story every day will excite them whether it's 12 days or 24. Don't have enough festive or Christmas books? Why not add wintry themed books to the mix - anything with snow, penguins or a winter scene will work wonderfully. Or just use some of their favourites - festive or not. 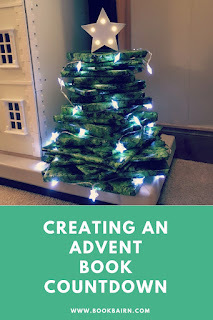 The first year we did our advent book tree, I went down to the library and borrowed a dozen or so books, wrapped them up and put them in out countdown. Our library allows you to borrow books for 3 weeks, and most of the time I can renew online so I knew it wouldn't be a problem to use them and keep them for the month. But you could also number your books, or wrap them in a way that they stand out to you (a little sticker, or different paper) or in some way orchestrate it that they open the library books first so that you get a chance to return them if necessary. The charity shops local to us now have their festive displays in the windows so you will without a doubt be able to pick up some wonderful books to include. Book People, The Works or Aldi. Both The Book People and The Works have book collections of 10 books for £10 at the moment so you could add to your collection using these deals. And the supermarket Aldi I noticed had lots of great books in at the moment for not too costly. I was a little bit torn as to whether or not to wrap up my books this year. Mostly because I'm more conscious of making our Christmas a but more eco-friendly. But in the end I decided I wanted to because, for me, it's part of the magic to unwrap them. When we did BookBairn's first one, she was only 9 months old and she started to unwrap things and play with the paper, by her second year, it was great practise for Christmas day and now it's The Wee Page Turner's turn to experience that too. So I wanted to wrap mine. But I know that some other people use a gift bag or make a fabric bag or just write the titles of books on slips of paper and put inside a refillable advent calendar. You do what works for you. But note it took over 3 hours to wrap them all! Some people like to number their books. Or have the bairns unwrap them in a certain order. It's good for number recognition and number ordering skills. (And if there are library books in the bundle you might want to). But I have always let BookBairn choose at random which one she wants to open and I will be doing the same this year. I'll let them take it turn about to choose. I have seen some people say that leaving wrapped books around might lead young children to the temptation to open them but we've never had that problem. Every year I've had them stacked on the floor and not one was opened before it should have been. It's the same with keeping presents under the tree - they don't unwrap those before Christmas day. For me that's part of the lesson - learning to be patient and wait. But if you don't think your little one wouldn't be able to resist - keep them out of reach. You do what works best for you. We have always had a tree bundle with the books stacked from largest to smallest. But this year I'm displaying them differently as you can see from the photo.s (I will probably add some lights and perhaps tinsel or some other decorations - I would quite like two nutcrackers to have at each end - but these photos were more of a test run.) There are lots of other lovely ways to display them - just have a look on Pinterest! I hope you have found some useful tips here! And we would love it if you shared your photos of your bookish countdown with us so do send to us on social media or tag @BookBairn in your photos. A lot of work but worth it. I think the Wee Page Turner will enjoy opening them. Look forward to seeing him in action. Thanks - didn't see you offering to help wrap them!! Absolutely! That's how we started!! I've been doing this with KayCee and Ella for a few years. I run the book section at our local charity shop and I save all children's Christmas and Winter themed books all year then do a display with them in November. 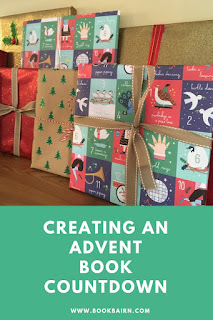 The poster for the display explains what a book advent is. It's very popular. I don't think we'll be dloing the book advent at home much longer because they're getting too old for the books we have. I'm a bit sad about it to be honest. That's a great idea! Well done for all that hard work - and glad the reception is good! Thanks Claire - I see you have one too! 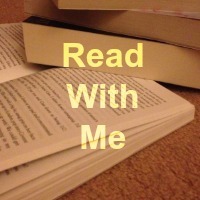 Great readers read alike!